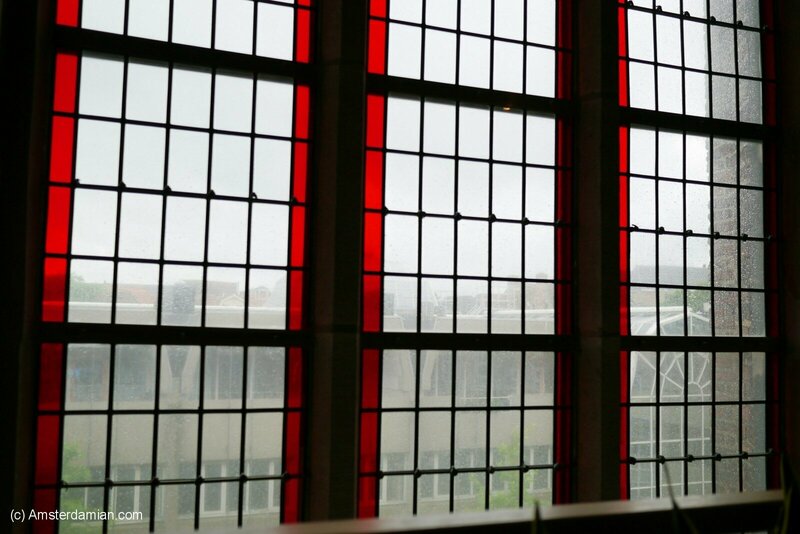 It was a rainy summer day when a friend took me to visit the pretty city of Zwolle. 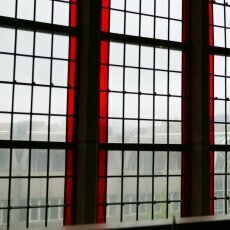 We wandered the cobbled streets holding tight to our umbrellas, fighting the wind that was trying to take them away. 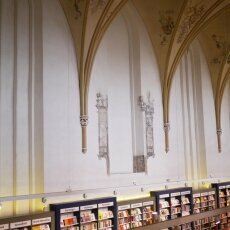 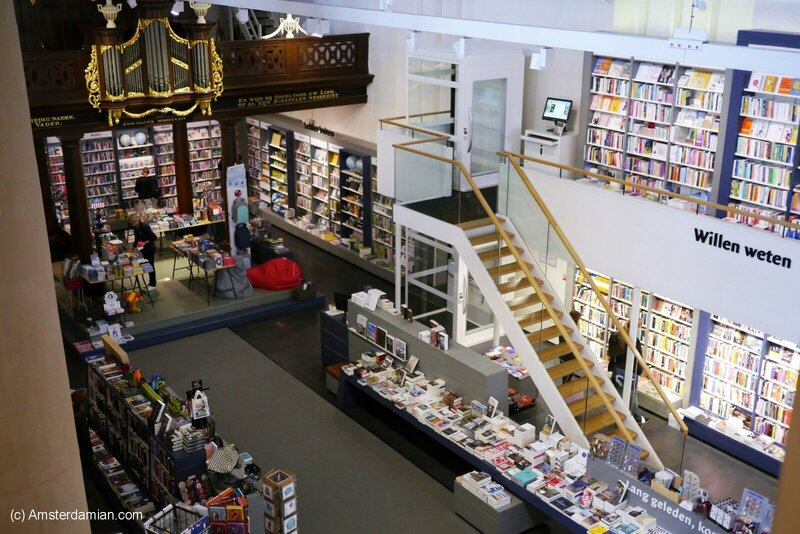 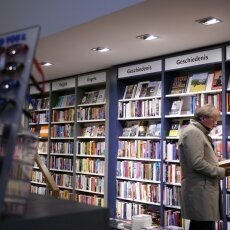 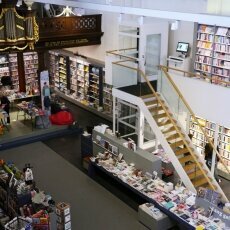 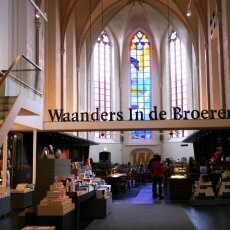 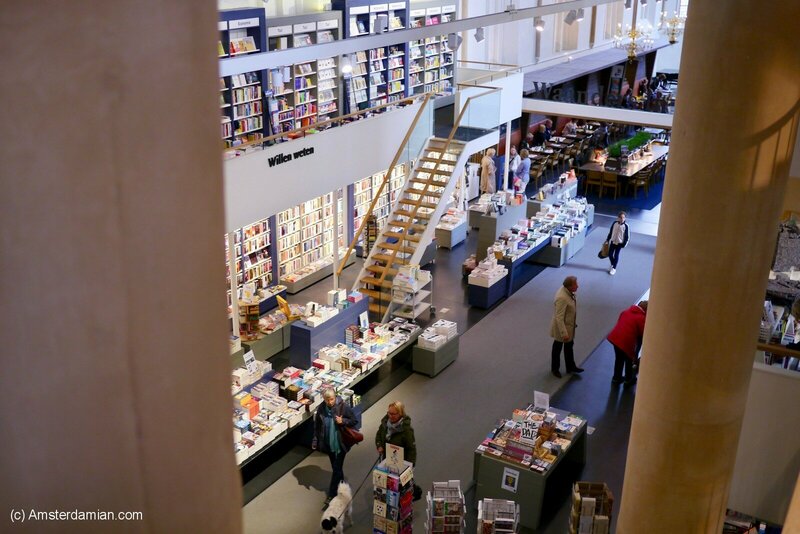 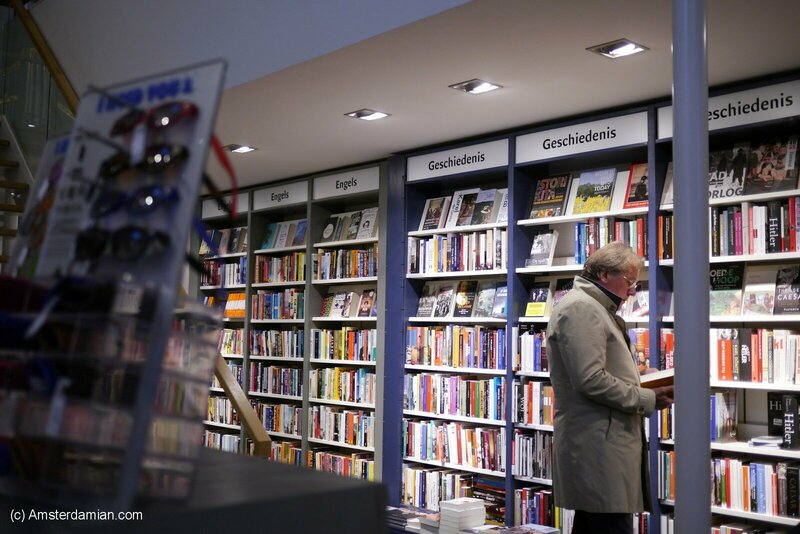 When we entered the beautiful bookstore Waanders In de Broeren, we felt surrounded by a peaceful feeling. 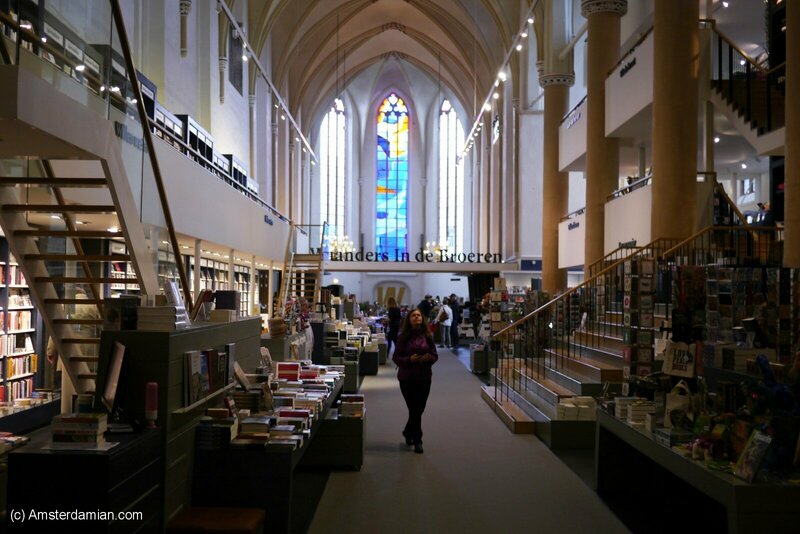 I don’t know if it was the church, the books or the relief to be sheltered from the rain (or maybe all of these) but we enjoyed our time in this place and didn’t want to leave. 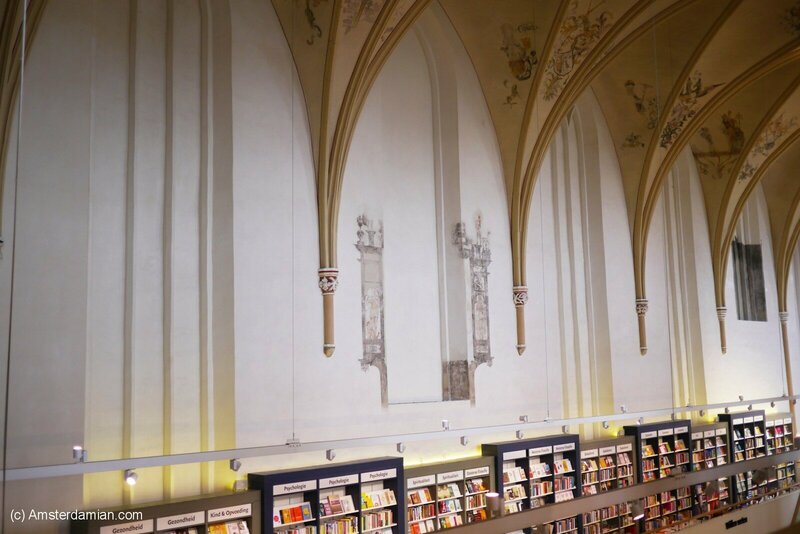 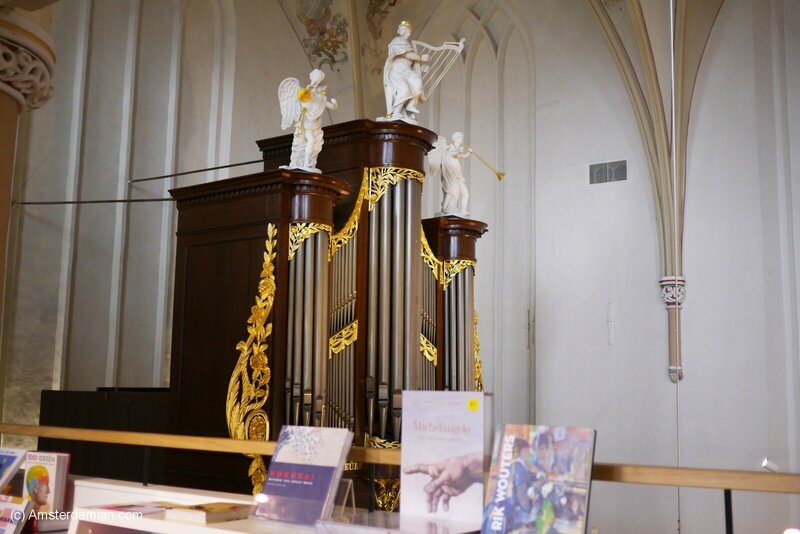 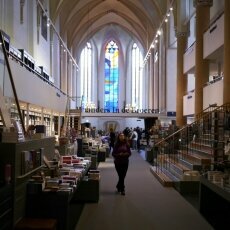 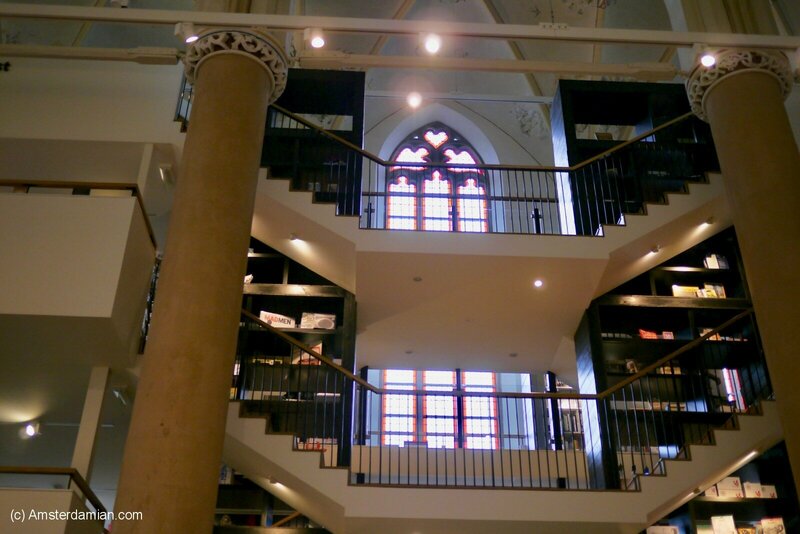 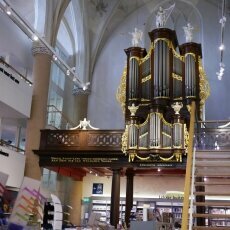 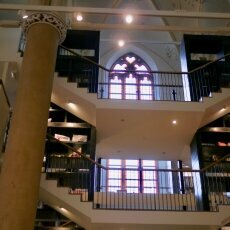 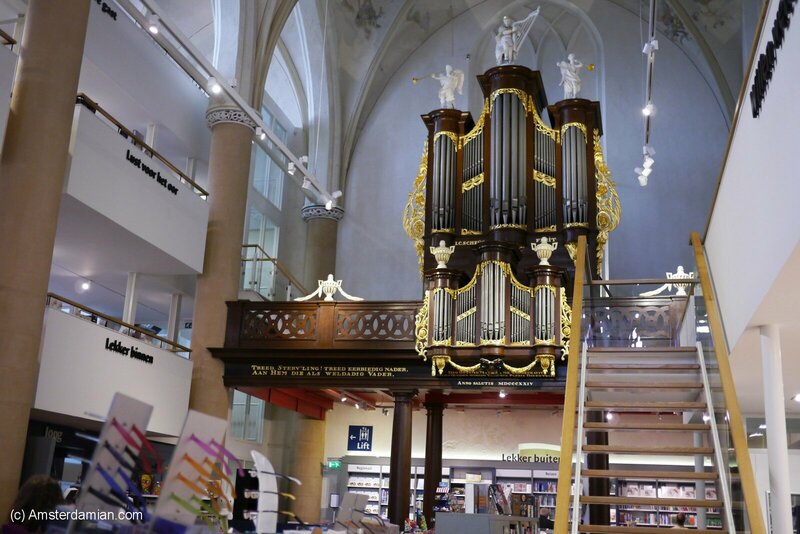 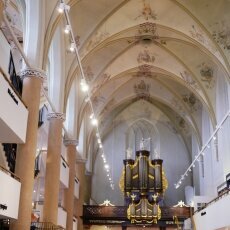 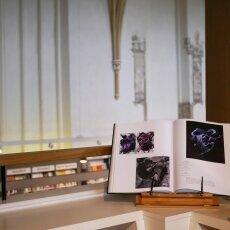 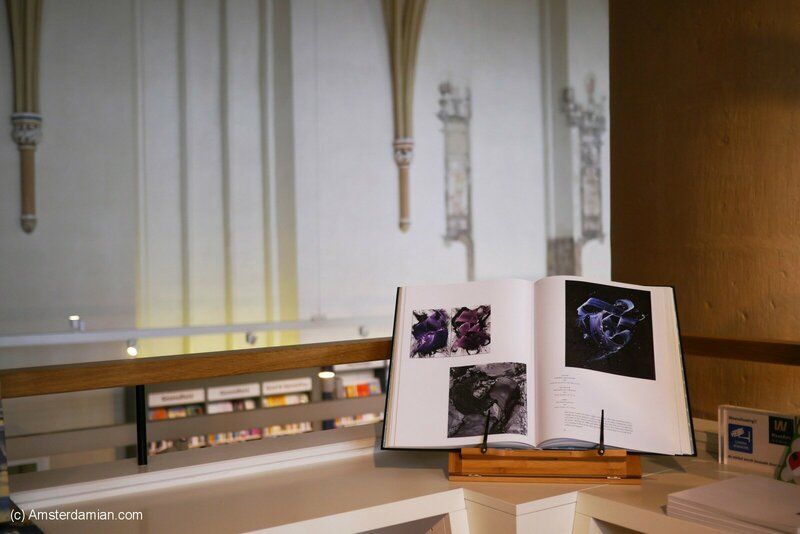 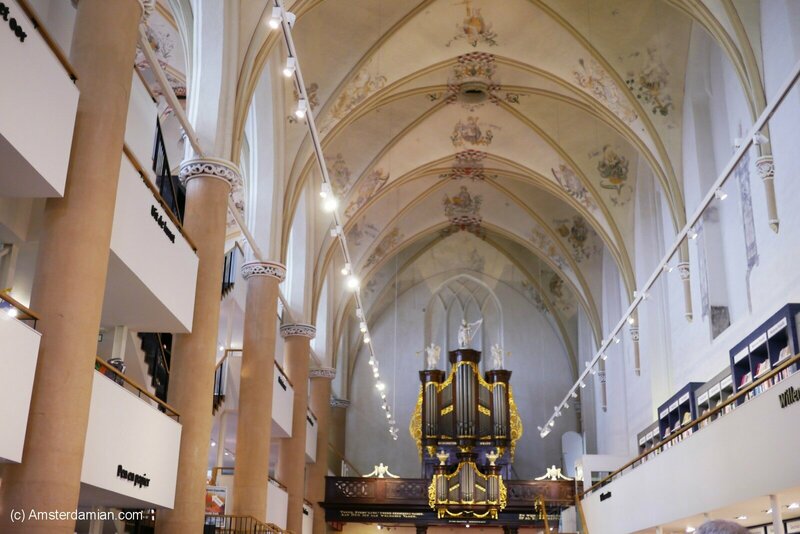 This is no ordinary bookstore: a 15th century cathedral was transformed into a modern shop. 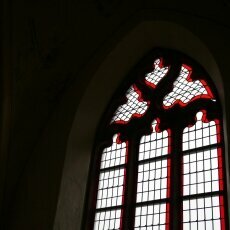 The design is the work of BK. 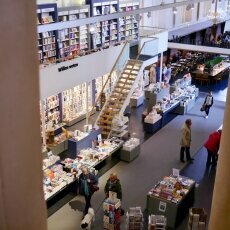 Architecten, who added 3 floors and arranged the shopping space avoiding any alteration to the building. 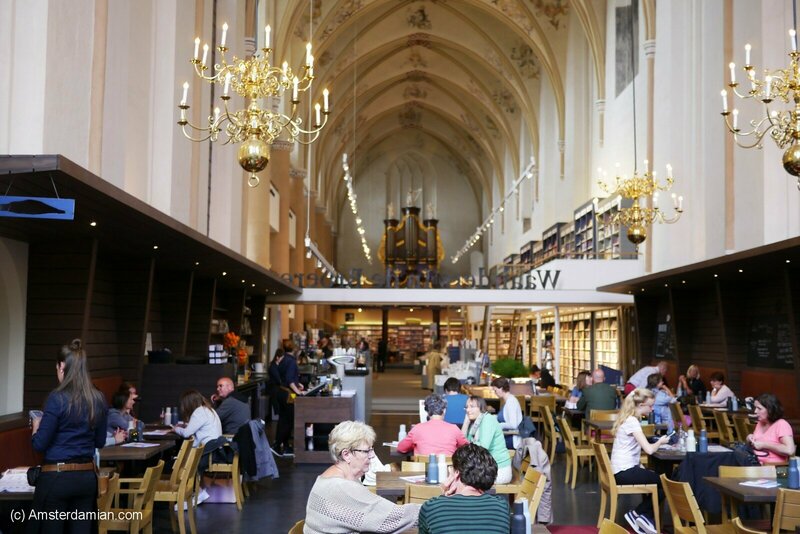 That means you can admire the arched ceilings, the stained glass windows, the chandeliers and the pipe organ while shopping for books. 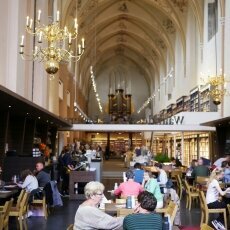 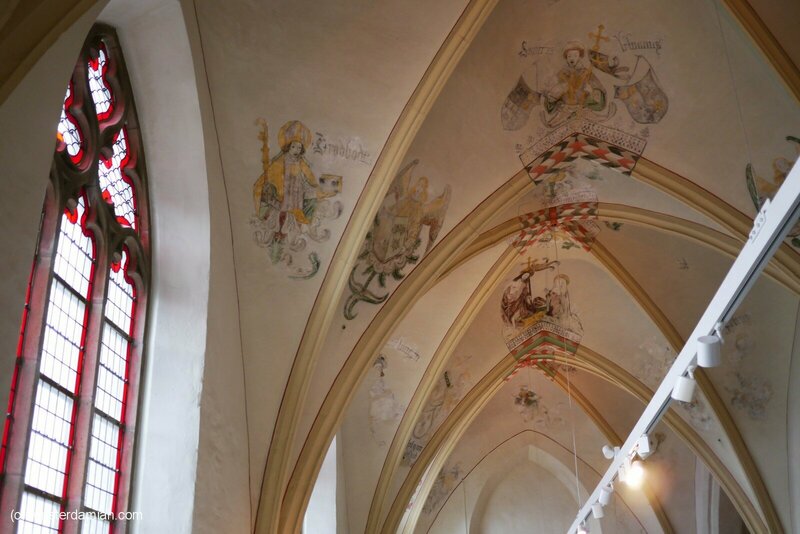 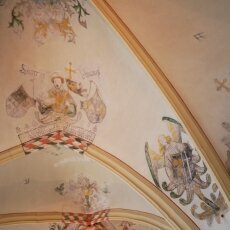 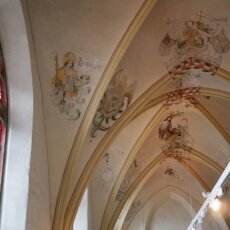 We spent some time browsing through the books, visited the small exhibition, gazing from time to time at the saints’ images on the walls and when we were done, we stopped at the café for an apple pie and a hot chocolate. 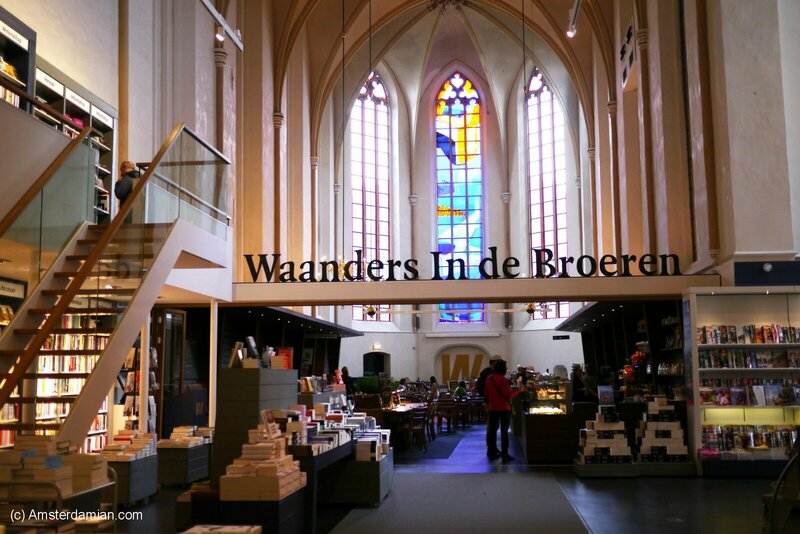 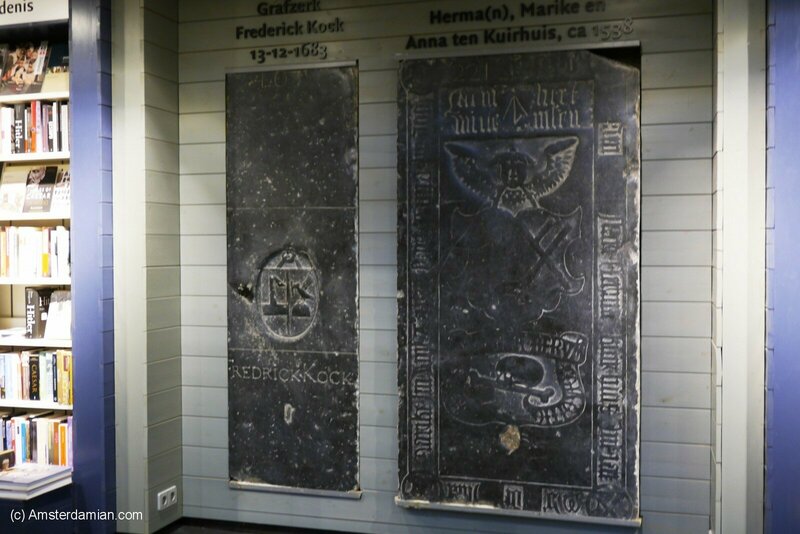 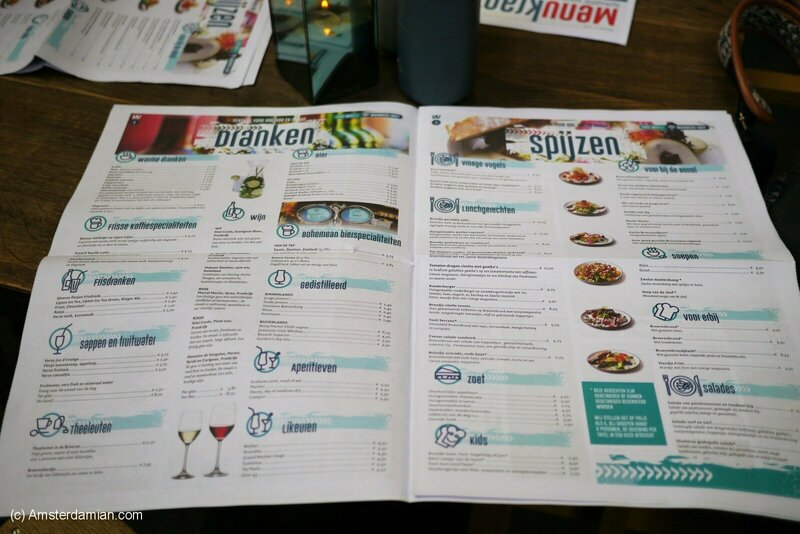 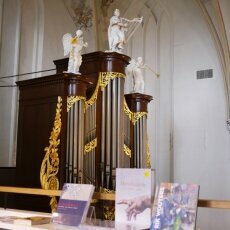 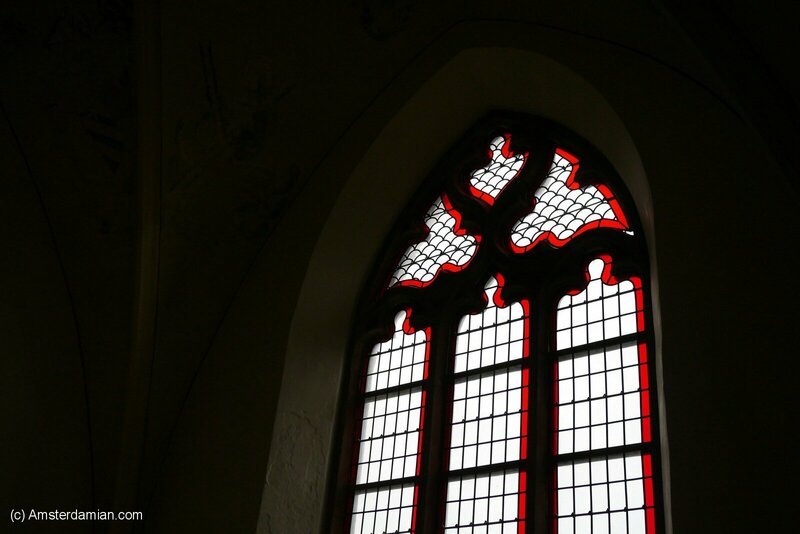 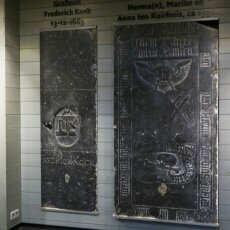 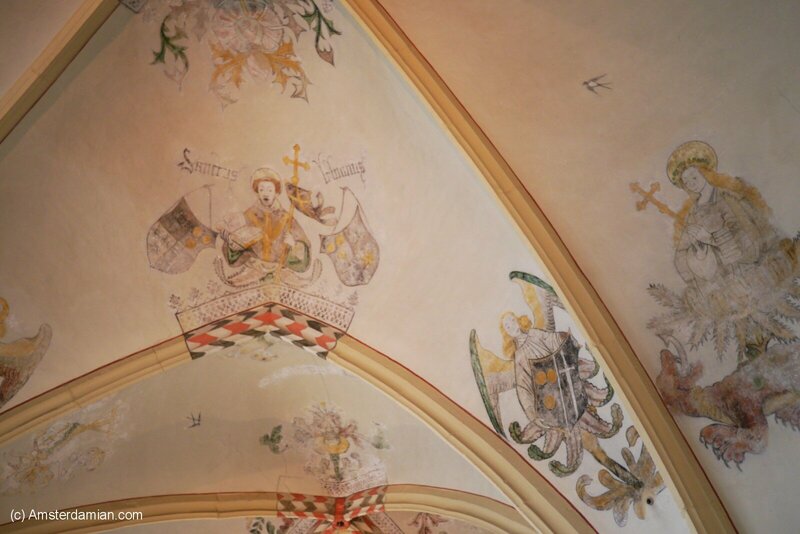 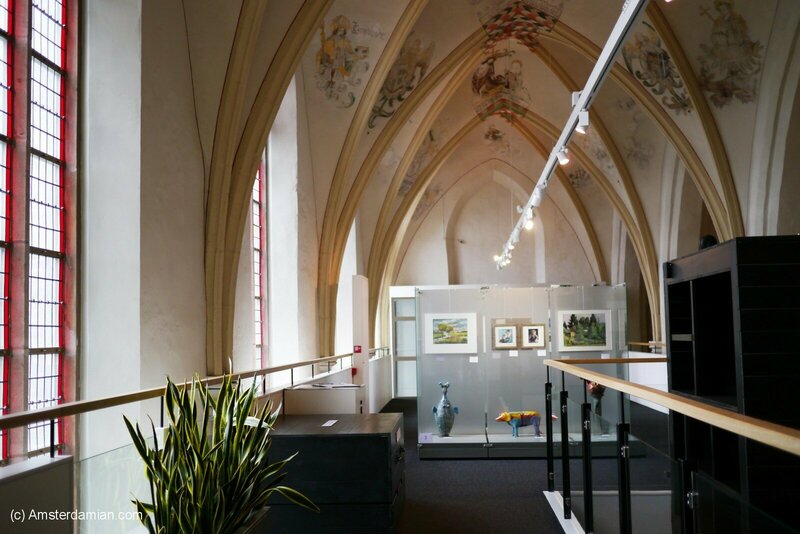 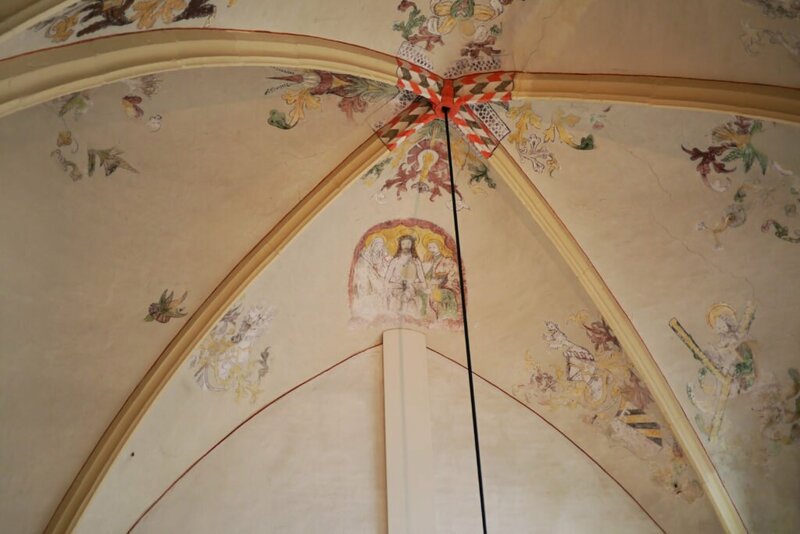 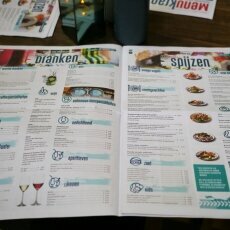 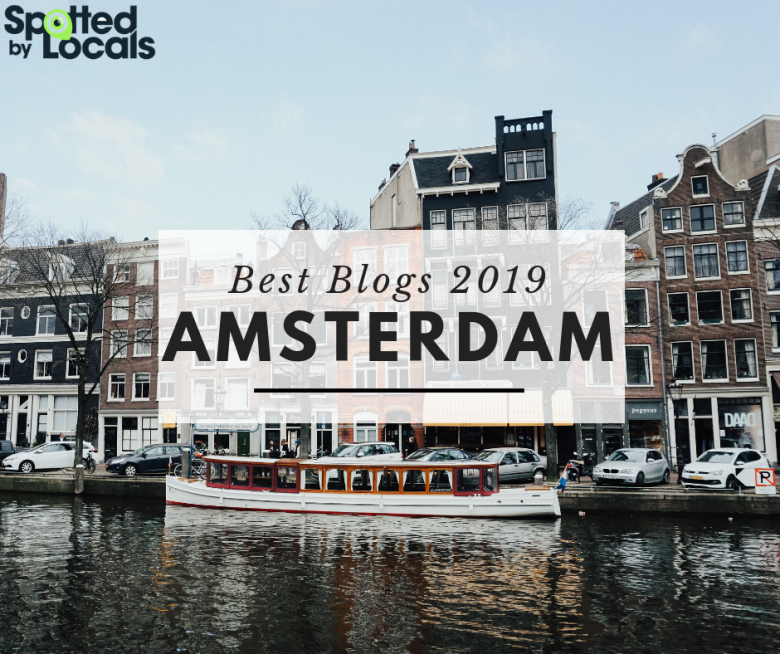 If you visit Zwolle, don’t miss this jewel of a place! 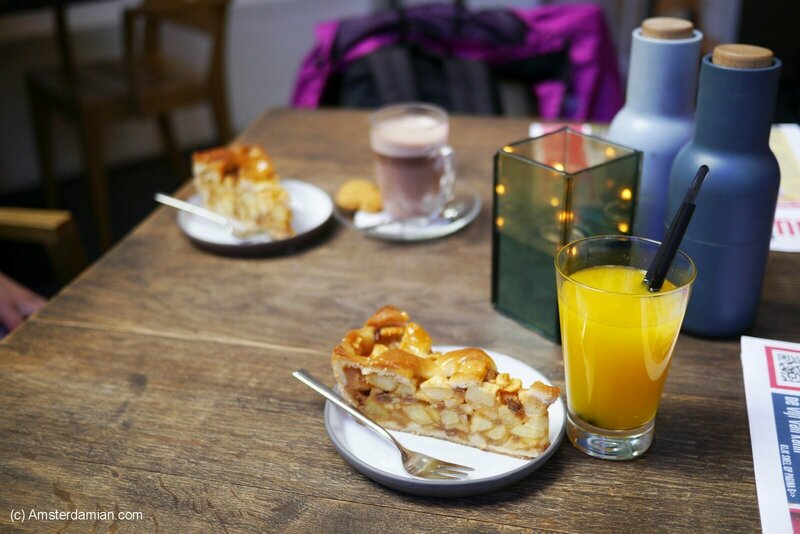 I’m sure you will love it.